Finding the perfect shoes that will match the awesomeness of your dream gown can be quite a challenge. And not just that, you have a lot more to bear in mind, unlike when buying regular shoes. Since shoe shopping isn’t really a priority and is done almost at the end of all preparations, I know you are in quite a rush so I won’t stall anymore. 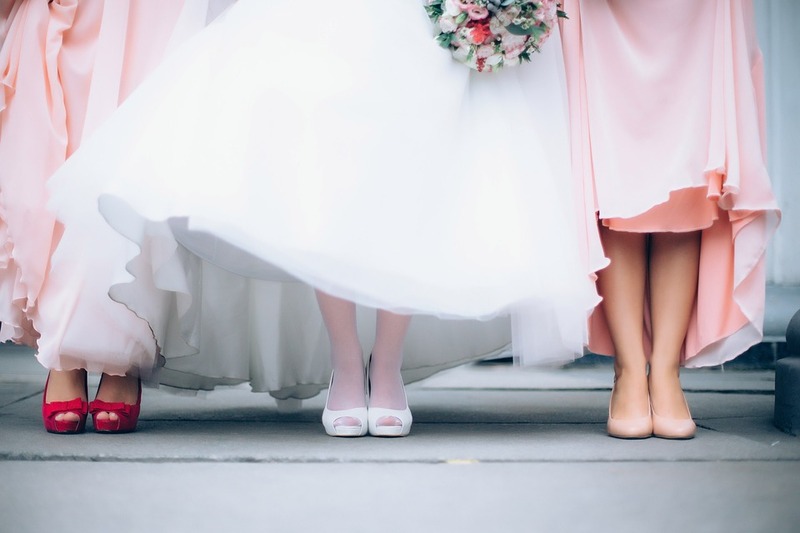 Here are the things you should have in mind when buying your wedding shoes. A gal sure loves those skyscraper heels, right? However, are you sure those are the shoes in which you can walk down the aisle, stand through photographs, dance and walk around all day? I don’t think so. Super high heels are SUPER impractical, and you should stay away from them. Instead, go with something lower and more comfortable that won’t cause any pain nor will it get caught in your dress. You should look for high quality wedding shoes that make you feel completely stunning, and do not stop looking until you find them. Even if your dress is floor-length, trust me, there will be a lot of opportunities for your guests to peek at that exquisite pair that make you feel like a Cinderella. And they don’t have to be boring, nor should they follow the latest trends. Just go with something you like the most. Do not, and I repeat – DO NOT wear them for the first time on your big day. That can result in one painful disaster. 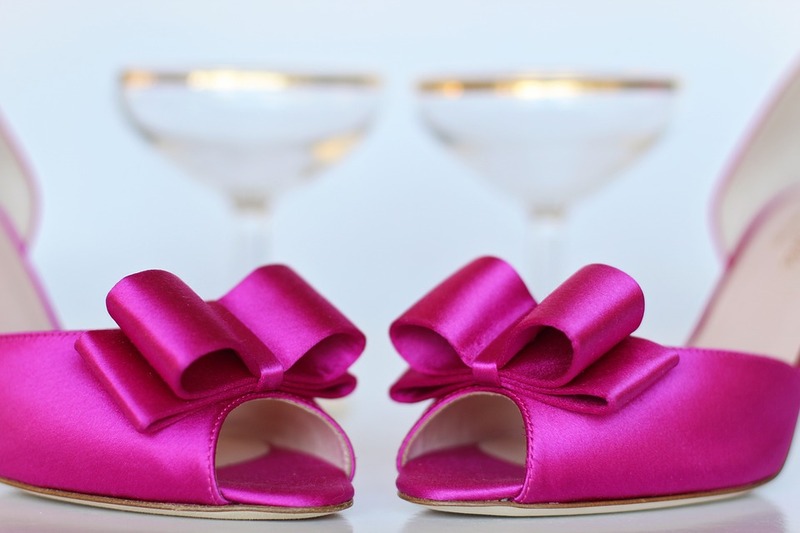 Make sure you get them at least two-three weeks before the wedding and wear them on your carpet in order to get them worn in a little bit and moulded to fit you. Have in mind that your dressmaker needs to know the exact height of your shoes before the final fitting, so he/she can adjust the gown accordingly. Also, you will have to wear those shoes on that fitting. Again, this brings us back to the previous paragraph – make sure you buy them at least two-three weeks prior to the wedding to save yourself from last minute panic. Have in mind the type of your wedding when going shoe shopping. Is that a country garden ceremony, where you and the guests will party under the stars? If so, I would recommend you rather go with something simpler such as wedges or flats. On the same note, if you are celebrating in some historic venue, check if they have the policy against stilettos in order to protect their floors. A smart idea would be to take a swatch of the fabric your dress is made of with you during your shoe shopping. This way, you will prevent colour clash. If your dress is plain or traditional, with statement wedding shoes you can complete the whole look and make the dress look 10 times better. Oh, and you don’t have to wear ivory or white heels. You are free to experiment with shapes, colours, materials and patterns. Before the big day, don’t forget to have pedicure so your feet are nice and soft and your nails are done perfectly. Not to mention how great your feet will look in beach photos from your honey moon (wink). Last, but not least, is to practice whenever you can, in order to make sure you get used to those shoes by your wedding day. Walk around in them while you are doing basic home chores such as laundry, dishes or ironing. 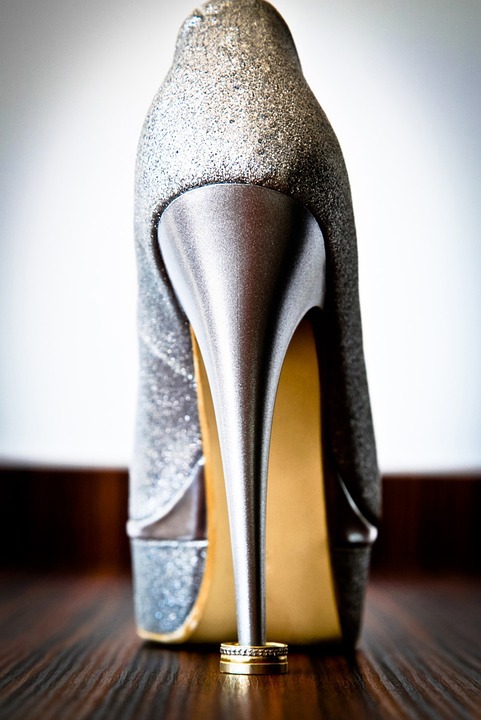 And that would be it – keep these in your head and you will definitely find the perfect shoes for your big day. Have fun shoe shopping!